This neckless is all sterling silver and has a cool chain. 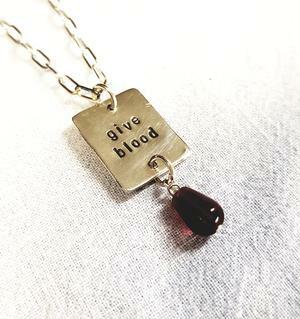 From the tag there is a bloodred drop hanging. 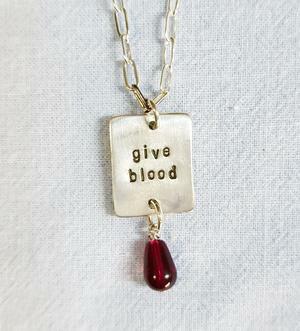 Text on tag (1.7x1.9cm): "give blood"
Below you just fill in the neckless length you want.